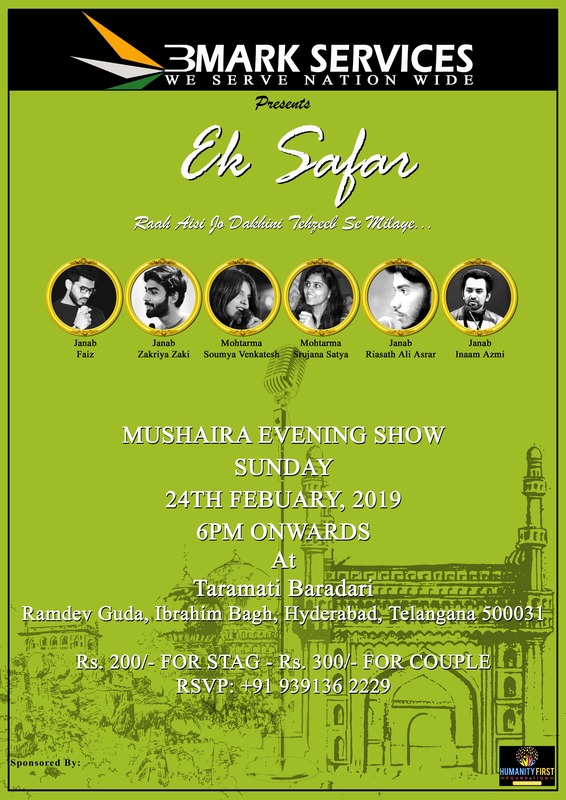 On this evening, you will experience different vibes in the ancient atmosphere of traditional Mushaira. 3Mark Services is celebrating art of Urdu poetry with young Shayars of Hyderabad. You will remember our culture throughout this poetical atmosphere.